Once again I have amassed three seemingly unrelated books in need of review. One takes place in the U.S., one in Chile, and the third in Japan. Two are contemporary, while one has historical elements to it. Two have female protagonists, with the third having more than one woman at the heart of its story. One is a debut, two are books in translation, and one I listened to on audio. 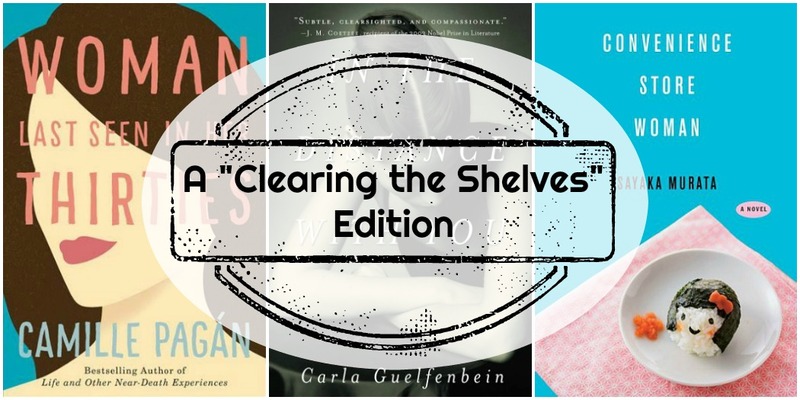 With so little in common, nothing else would do but to “Clear the Shelves” with some mini-reviews! 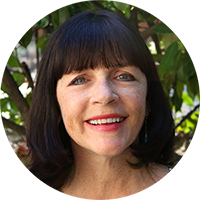 From the Publisher: “At fifty-three, Maggie Harris has a good marriage and two mostly happy children. Perpetually anxious, she’s also accumulated a list of semi-reasonable fears: falling air conditioners, the IRS, identity theft, skydiving, and airbag recalls. But never once did Maggie worry that her husband of nearly thirty years would leave her. My Thoughts: Woman Last Seen in Her Thirties is the story of a 50-something woman trying to rebuild her life after her husband suddenly tells her there’s someone else. While that in itself is awful, scary, devastating, it’s sadly not unusual. Many of us, including myself, have been through similar experiences and I suspect readers’ reactions to Woman Last Seen in her Thirties will vary widely based on their own experiences. I found myself both sympathetic to Maggie and incredibly frustrated by her. Pagán captured the trauma of a long marriage ending suddenly in a very real way. Maggie was stunned, numbed. She walked around in a fog having no idea where her life would go. That felt real. Even her obsessive desire to figure out what went wrong and who the “other woman” was seemed real, but her longing to get her husband back under any circumstances initially turned my sympathies away from Maggie. It was hard for me not to watch Maggie through the lens of my own experiences. We had so much in common. Like her I took a solo trip to Italy shortly after my divorce and had great adventures there on my own. When Maggie acted differently then I would have, it was easy for me to grow frustrated with her, until finally I stopped judging her and recognized that everyone’s experiences are their own. Narration: I thought the audiobook edition of Woman Last Seen in Her Thirties was fine. I wouldn’t rave about Amy McFadden’s narration, but there was nothing awful about it either. Some of the dialogue felt a little off, especially when voicing the male characters. Maggie’s adult son always sounded like a stoned surfer dude to me! 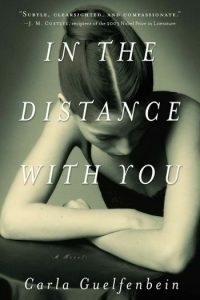 My Thoughts: I’m going to be honest, in the Distance With You is a book i almost quit on. More than once. But, every time I put it down, I found myself drawn back to this book. It’s a story that’s slow to build, so you have to be patient with it. At first, there didn’t seem to be much to hold my interest, but slowly more and more questions arose until I reached the point where I had to know the answers. The central character to In the Distance With You is Vera Sigall, an 80-year old Chilean writer found at the bottom of the stairs by her neighbor and friend, Daniel. Vera has lived an interesting, rich life including scandals and affairs. As she lays in a hospital bed, the readers are treated to the details of Vera’s life through the lenses of Daniel, Horatio, Vera’s onetime lover, and Emilia, a grad student in Santiago to do research on Vera for her thesis. As might be expected, these three narrators also have connections, and as Vera’s life comes into focus, so too do theirs. I found Carla Guelfenbein’s writing to be lovely. She had some really stunning phrasing, beautiful descriptions, and great insight. Translator John Cullen clearly did a wonderful job. Note: I received a copy of this book from Other Press (via Edelweiss) in exchange for my honest thoughts. My Thoughts: The convenience store woman in this book by the same title is Keiko, a 36-year old who has worked in the same convenience store since she was 18. 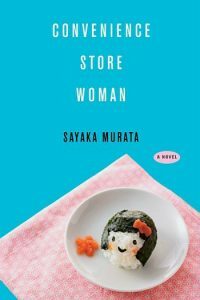 Debut author Sayaka Murata still works part time in a convenience store, so clearly has the gravitas for putting together her first novel. Convenience Store Woman is all Keiko’s story and Keiko is one very, very odd woman. Even as a child Keiko had been a little strange. Her family worried about her, she had no real friends, and Keiko didn’t really know how to act around other children. As she grew older, Keiko learned to mimic the actions of others, eventually going so far as to mimic their speech patterns and copy how other women dressed and carried themselves. In these ways Keiko got by for a long, long time. She was content with her neatly ordered life. But, by her mid-thirties people were questioning Keiko. Why was she still working in a convenience store? Why wasn’t she married? Had she ever even had a boyfriend? Once again, Keiko felt the need to adapt to fit the expectations of other, but with limited social skills she had few options. Keiko’s solution was almost as odd as Keiko herself, and it was here that Convenience Store Woman went completely off the rails for me. Note: I received a copy of this book from Grove Press (via NetGalley) in exchange for my honest thoughts. 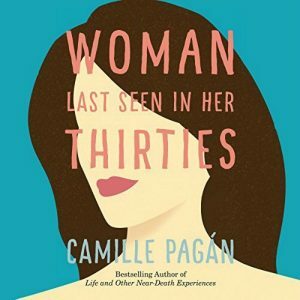 I enjoyed another book I read by Camille Pagan, Forever is the Worst Long Time, so I may have to check out Woman Last Seen in Her Thirties. It does sound like a relatable book and main character. When things slow down this summer, i’ve been thinking I’d like to try another Pagan book. I’ll keep Forever in mind. Woman Last Seen was ~meh~ for me. The characters were tiresome and many of the situations I found unbelievable. The other two are definitely off my radar. I’m leery of any book in translation. As I was reading your review of Convenience Store Woman the word “Asperger’s” came to mind. Too many really good books out there. Glad I could rule a few books out for you! As I was reading your description of Convenience Woman, I kept thinking, she’s probably on the spectrum and then saw you thought the same. I have heard about this book (mainly from Anne Bogel’s podcast) and and torn because I like books about different people than me (different cultures, especially) but I am not crazy about books that take weird, unbelievable turns. I think after reading your review, I may just have to skip this one! Thanks! Thanks for stopping by, Elena. I’m off to check out your May reviews. Convenience Store Woman was on my radar. I worked in a convenience store in high school…you see all kinds of strange stuff. But, I’m not sure it’s something I would like. I definitely won’t pay for it and try to get it through my library on overdrive. Then if I don’t like it, it isn’t a huge loss. I appreciate the time you put into your well thought out reviews. I have added Woman Last Seen in Her Thirties to my list. Thank you! Thank you so much, Lisa. It’s always nice to hear that my little blog is appreciated!